The 2015–2016 NBA season tipped off Tuesday, with the season continuing until June. 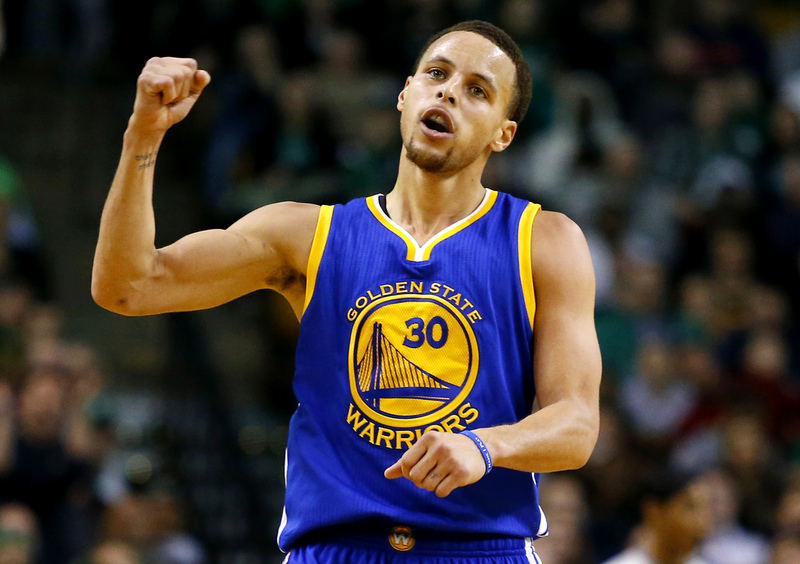 Many of the NBA’s prominent contenders belong to the Western Conference. Last season, three teams in the East achieved 50-plus wins, while seven teams in the West did. The top teams from 2014–2015 have reloaded in hopes of claiming the title in June. The defending-champion Golden State Warriors are led by a high-scoring offense with sharpshooters Stephen Curry and Klay Thompson, who are expected to post similar results to their 67-win performance in 2014–2015. Retaining defensive weapons Draymond Green and Andre Iguodala makes Golden State dangerous on both sides of the ball. The San Antonio Spurs faced a first-round exit in 2015, but the 2014 NBA champions won free agency when All-Star LaMarcus Aldridge decided to join Gregg Popovich’s system in San Antonio. The Spurs’ reloaded roster features veterans Tim Duncan and Tony Parker and a budding star in Kawhi Leonard, the NBA’s reigning Defensive Player of the Year. The Cleveland Cavaliers were the champions of the Eastern Conference, but they were without All-Stars Kyrie Irving and Kevin Love in the NBA Finals. Four-time MVP LeBron James looks to lead the Cavs to their first-ever championship. 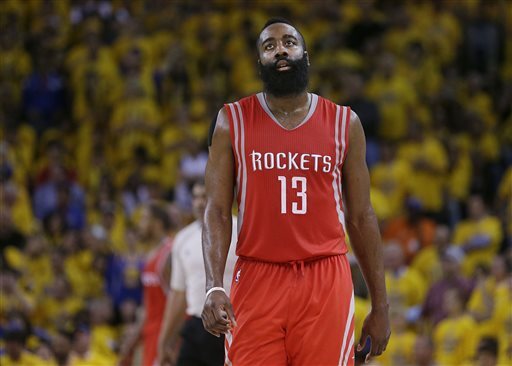 The Houston Rockets reached the Western Conference Finals last season, but were handily beaten by the Warriors. James Harden, the only player to score 2000 points in 2014–2015, runs the Rockets’ three-point oriented offense. A Finals appearance in a stacked conference may be a challenge, but the addition of point guard Ty Lawson makes this offense a force to be reckoned with. These contenders are the primary teams to watch this season, and the NBA champion will likely be one of these four. However, factors such as injuries and breakout players may come into play to alter the balance of power. The 2015–2016 tipoff is here — ­basketball is finally back. Texas completed its final tournament of the fall season with a seventh-place finish at the Las Vegas Collegiate Showdown on Wednesday, shooting a three-day 25-under par for a total score of 839. Sophomore Sophia Schubert led the team with a top-five finish, shooting a three-day score of 203. Schubert made seven birdies and one bogey for a round of six-under par to finish in fourth, overall. Senior Tezira Abe and junior Haley Mills finished tied for 45th at two-under par for the tournament. Mills finished her third round with a bogey-free three-under par while Abe carded two bogeys for a round of two-over par. Junior Julia Beck and freshman Maddie Luitwieler tied for 53rd after they both shot a one-under par round of 71. The pair ended even par for the tournament. University of Nevada-Las Vegas and Vanderbilt charged up the leaderboard to tie for first place. The teams finished 33-under par for a 54-hole score of 831. San Diego State finished in third place, just three strokes behind, as Tennessee’s Anna Newell finished in first place, individually. Texas finished in the top ten in all of their tournaments this season. The team will open the spring season on Feb. 21st in the Allstate Sugar Bowl Intercollegiate in New Orleans, Louisiana. Former 2013 first-round draft pick Kenny Vaccaro is on pace for a career high in tackles this season. During the Saints’ victory over the Colts on Sunday, Vaccaro recorded five tackles, including his first sack of the season. Just six games into the season, Vaccaro has already totaled 44 tackles. With nine games to go, Vaccaro expects to surpass his previous marks of 74 tackles in 2014 and 79 in 2013. Vaccaro attributes much of his recent success to overcoming a rash of injuries. At the end of his rookie season, Vaccaro injured his ankle. He returned to the field four months later for what was considered a year-and-a-half-long recovery process. The injury continued to bother Vaccaro for months, and in his first game of 2014, Vaccaro tore his hamstring. He then suffered a quad injury that was never officially reported and continued to trouble him through the season. Vaccaro played safety for the Longhorns from 2009 to 2012. His brother Kevin, now a Texas safety, has 15 tackles this season. Kenny Vaccaro was a defensive captain at Texas alongside Alex Okafor. He was also a first-team All-American his senior year. The ITA Texas Regional Championship continued Monday with the men’s singles and doubles rounds. In the singles round of 16, freshman Harrison Scott was defeated in a three-set match, 6-3, 3-6, 6-2 by Texas Tech sophomore Alex Sendegeya. Scott was eliminated from play. In the singles consolation, redshirt freshman Julian Zlobinsky edged UT-Rio Grande Valley sophomore Koby Jansen 6-0, 7-5. Zlobinsky advanced to the next round where he played SMU redshirt sophomore Charlie Nettlefold and lost 6-1, 6-2. In the doubles round of 16, senior George Goldhoff and freshman Liam Caruana teamed up and were defeated by Texas A&M junior Max Lunkin and sophomore AJ Catanzariti, 8-5. Goldhoff and Caruana advanced to the quarterfinals. Sophomore John Mee and Scott matched up against SMU redshirt junior duo Hunter Johnson and Yates Johnson and lost 8-7. In the doubles quarterfinals Texas Tech seniors Hugo Dojas and Felipe Soares edged out Goldhoff and Caruana 8-4. Match play continues Tuesday and a winner will be crowned. The tournament champions will earn automatic entry into the ITA National Indoor Intercollegiate Championships in New York City, the same site as the U.S. Open. The athletics department announced Monday that it has rehired John Bianco as associate athletics director, media relations for football, effective immediately. Bianco served in the role for 23 years before leaving over the summer due to a departmental reorganization. McConnell will return to be the full-time media contact for men’s basketball. McConnell has been the media contact for both football and men’s basketball in Bianco’s absence. The department also announced further additions to the athletics communication team will come in the future. Sean Cartell, the current assistant director of communications for the SEC, will join the department in November as the primary women’s basketball contact.